Sony's PlayStation Network has been hit by a glitch that has left users on all continents unable to connect to the online service, the company said Monday. More: Visit PCWorld's Game On Blog for hands-on coverage of the issue, and all the latest updates. The PlayStation Network is an Internet-based service that connects PlayStation 3 consoles to online stores, software downloads and is used as a platform for some multiplayer online games. It has about 38 million users worldwide. The problem appears to be affecting only the older PlayStation 3 consoles and not the newer so-called "slim" models that were recently launched, according to messages on Twitter. First reports of the problem began appearing online at around 4pm PST on Sunday, and acknowledgement came from Sony's U.S. unit in the form of a blog and Twitter posting. "We're aware that many of you are having difficulty connecting to the PlayStation Network this evening," said Jeff Rubenstein, social media manager for Sony Computer Entertainment America, on the company's blog. "Know that we have narrowed down the issue and have engineers working to restore service even as you read this," he wrote. But the company's Tokyo headquarters said shortly afterwards that it had yet to determine the problem that had caused so many consoles to be denied access to the network. The Twitter channel was filled with messages from PlayStation 3 owners. The vast majority of the messages expressed anger at Sony and many Twitter users turned to profanities to express their feelings towards the glitch. "We're narrowing down the issue and continue to work to restore service to all. 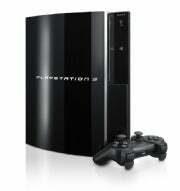 Updates as soon as we have them," the company said on its @SonyPlayStation Twitter channel. As of time of writing, shortly before 9 a.m. GMT, the channel had gone about five hours without any updates. The lack of information appears to have frustrated other users. "You guys still working on this?," said Twitter user ChrisJStone. "I thanked you on updates, but I assumed you'd... make more. Don't want to lose customers."